Zero groceries in the fridge. Due to rising prices and lack of inventory, housing costs are overwhelming for hundreds of thousands of Coloradans. Among those who are struggling are working families, service employees, seniors, veterans, disabled citizens and at-risk populations. First responders, magazine editors, city clerks, waiters, chemists and other college-educated workers are also not immune. Colorado’s housing crisis casts a wide net across the state and is a burden that affects us all. What’s left after housing costs for a family of four? A family that earns an annual income of $50,000, as featured in this chart, spends 35% of their monthly income on housing and only has a remaining $41 per month. That is a very tight budget. 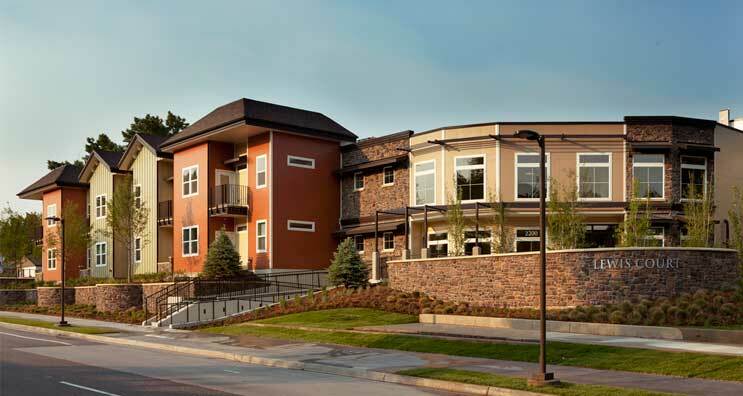 This family, like 50% of Colorado renters, spends more than 30% on housing, which disrupts essential living expenses like healthcare and depresses their ability to invest in Colorado businesses, restaurants and retail. 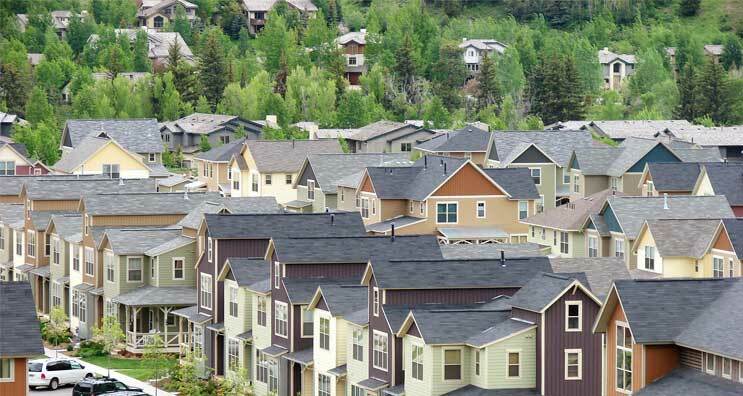 1 in 4 Colorado renters spend more than 50% of their household income on housing. 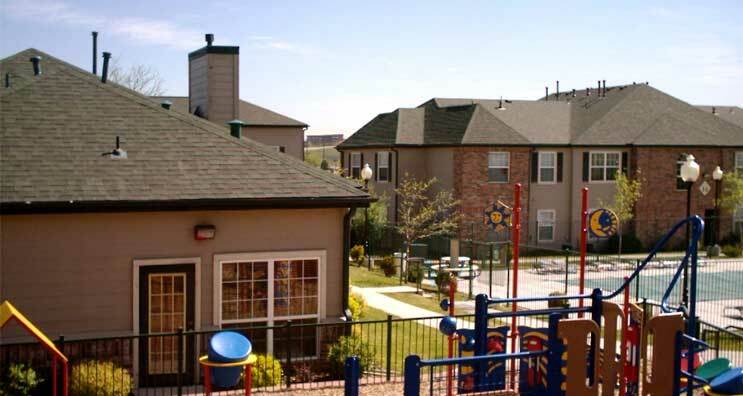 1 in 3 Colorado children are living in households with a high housing cost burden that puts their other needs at risk. A minimum wage worker needs to clock in over 95 hours/week to afford a simple two-bedroom apartment. 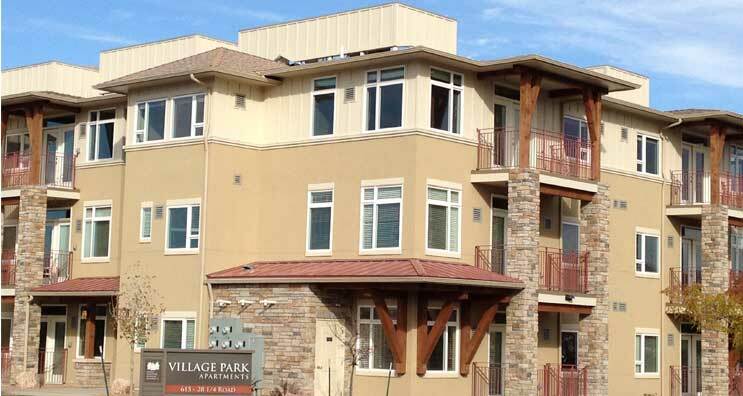 Offering a variety of housing choices that are reasonably priced is essential to Colorado’s economic development and ensuring that local communities have sustainable economic vibrancy. It’s also imperative to positioning our state as an attractive place to relocate or grow a business. 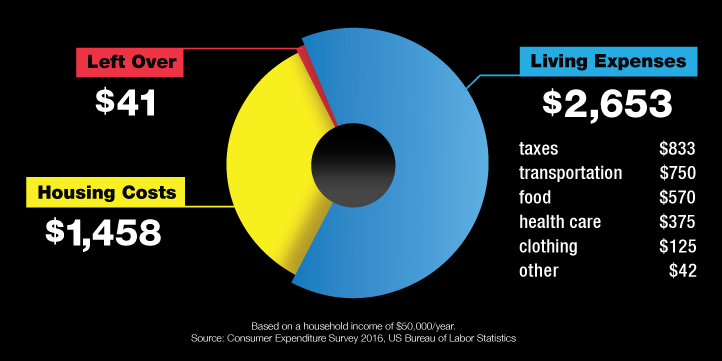 Colorado cost-burdened households, earning less than $50,000 annually, account for $2 billion less spending each year on consumer goods. This dampens local business, stalls economic potential and compromises state and local governments who rely heavily on sales tax revenue. We’re opening the door to more housing that makes sense. 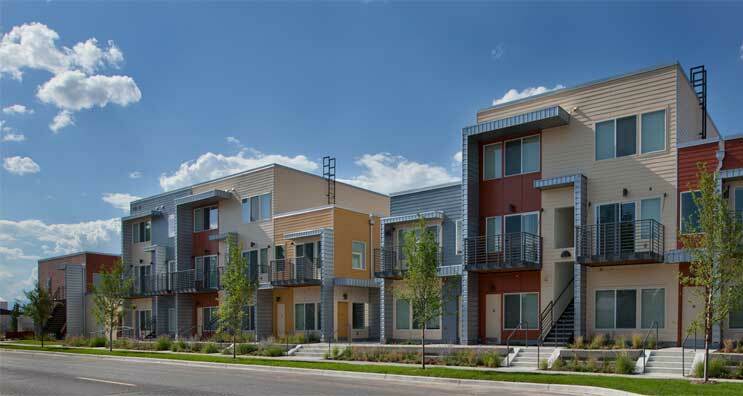 to show how affordable housing and housing diversity choice benefits communities. This issue is brought to you by Housing Colorado. View data sources for statistics on this page.